Across from the entrance to Walmart in front of the old sugar beet factory. Our team serves the insurance needs of Sunnyside, Granger, Grandview, Prosser, Mabton, Zillah and Toppenish. 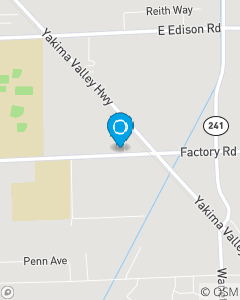 We offer auto insurance, homeowners insurance, life insurance and business insurance for all of the Lower Yakima Valley.